Join us in the beautiful mountains of Western North Carolina on one of America’s favorite white water playgrounds, the Nantahala River. Sapphire Valley Resort owners and guest can sign up for a complete package including transporation over to the river! Enjoy eight miles of crystal clear water and constant waves that make the Nantahala River a delight for all ages and groups. 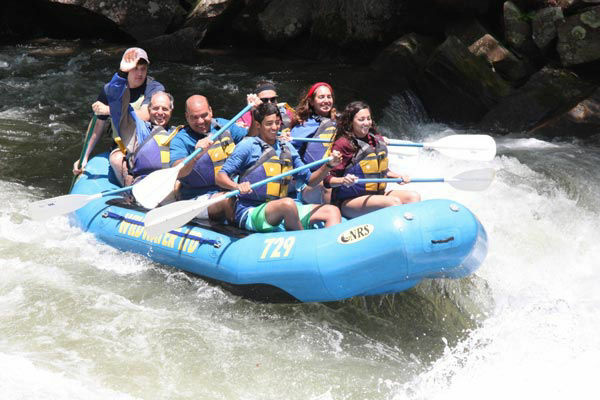 This wonderful introduction to whitewater rafting takes just over 3 hours, contains numerous class I and II rapids, and ends with an exciting class III rapid, Nantahala Falls!